England midfielder, Jack Wilshere has explained why he left Arsenal for West Ham United. Wilshere on Monday signed a three-year contract with the Hammers after leaving the Gunners as a free agent. The 26-year-old was offered a new contract at Arsenal but Unai Emery made it clear that he would not play a significant role next season, leading the midfielder to seek more game time elsewhere. 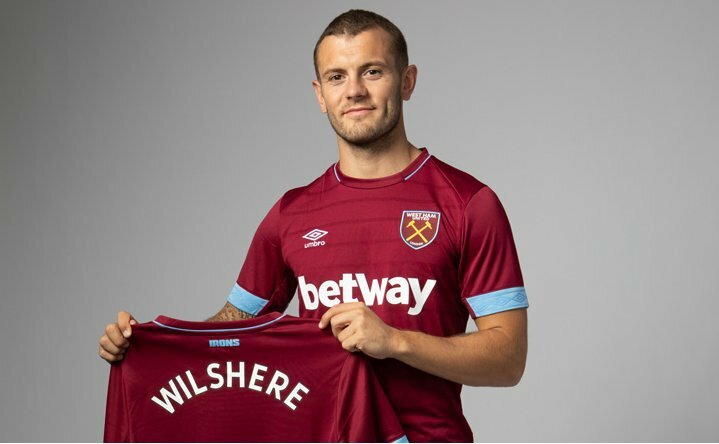 Speaking after signing for West Ham, Wilshere wrote on his Twitter page: “Delighted to have officially signed for West Ham United! ‘After speaking with the manager and those at the club I knew my future was at the London Stadium and I can’t wait to get going now. “It’s well known that I come from a family of Hammers and it’s a special moment to sign for the club I used to go and watch as a boy. “The West Ham fans are some of the very best and I am looking forward to giving everything I have to helping the team to bring success to you all. “I’m excited for the future at this great club. Off to training camp and the hard work starts now. Come on you Irons!”.